Rubén Ortiz-Torres is an artist who joined the Visual Arts Department effective Fall 2001. He began his career as a photographer, printmaker, and painter in the early 1980s, well before he received his M.F.A. from the California Institute of Arts in 1992. 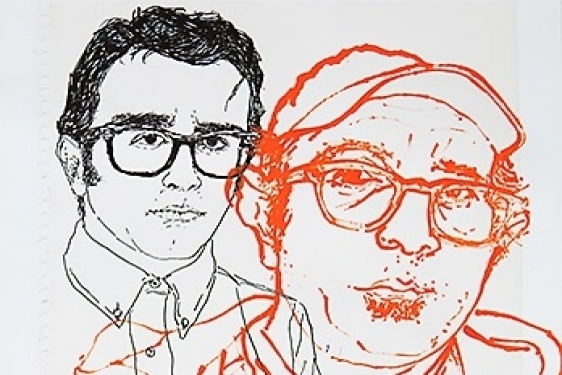 Ortiz-Torres is a Mexican-born artist who has been living and working in Los Angeles since 1990. Ortiz-Torres is widely regarded as one of today's leading Mexican artists and as an innovator in the 1980s of a specifically Mexican form of postmodernism. Over the past ten years, he has produced a body of work in a wide range of media -- extended series of photographs, series of altered readymades, a feature film, several videos (including three in 3D), large scale video installations, major painting series, sculptures, customized cars and machines, photocollages, performances and curated exhibitions. Since 1982, Ortiz-Torres's work has been featured in 25 solo exhibitions, over 100 group shows in the United States, Europe, Australia, New Zealand, and Canada, and more than 50 screenings of his films and video works. Over 150 written pieces cover his work in mainstream media such as The Los Angeles Times, The New York Times, Reforma (Mexico), La Jornada (Mexico), and El Pais (Spain); in significant art world publications with international circulation such as ArtForum, Art Images, Frieze, New Art Examiner, Poliester, Bomb, Flash Art, and Art in America; and in numerous exhibition catalogues and books. Ortiz-Torres has been the recipient of numerous awards and grants from, to name a few, teh Andrea Frank Foundation, the Foundations for Contemporary Performance Art, the U.S. Mexico Fund for Culture, the Louis Comfort Tiffany Foundation, the Banff Center for the Arts, and the Fullbright Foundation.